The 2018-19 season Combined Championship will be held Sat 2- Sun 3 Feb- 2019 at Lakeside Stadium Melbourne. 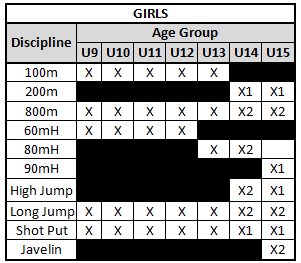 The Combined Event will consist of between five and seven separate disciplines. Events consisting of five disciplines will be held on one day. Events consisting of more than five disciplines will be held on two consecutive days. 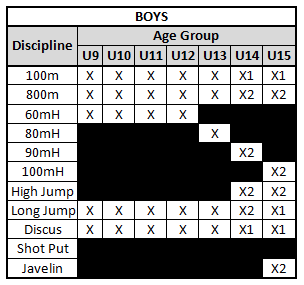 NOTE: This year Under 16’s will be included in the eligible athletes.